This probably isn’t the news most Bulldog fans wanted to hear, but this morning, 5-star cornerback, Tarvarus McFadden, committed to the in-state Seminoles. What’s even worse is that he said he was actually going to commit to the Bulldogs until he visited Florida State last week and saw the ‘Noles knock off Notre Dame. 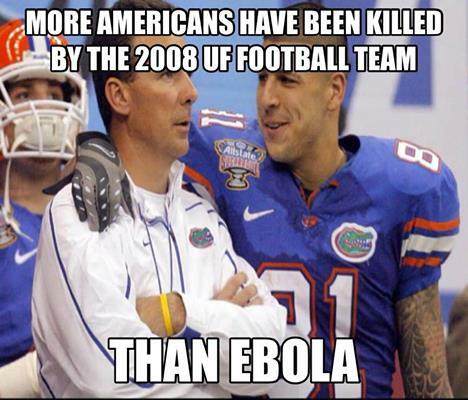 BUT, don’t worry Dawg fans! Like I said earlier in the week, McFadden’s recruitment is far from over. 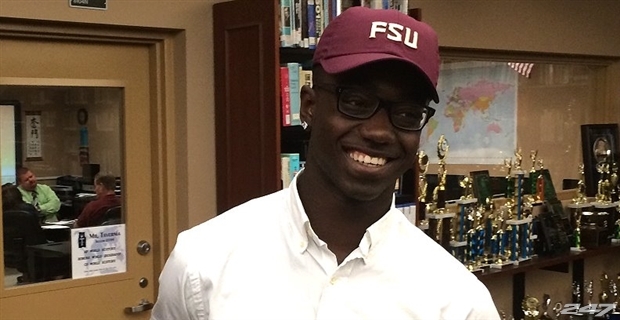 He set his date a while ago, decided on the Bulldogs, and then got caught up in the moment at Florida state a week ago and changed his mind. McFadden is still going to visit UGA for the Auburn game, and he says that he’s still going to continue with the recruiting process. I truly believe that the Dawgs can still land him if they get a big time win in a big time atmosphere against Auburn. You can bet that Jeremy Pruitt is still making him his top priority at cornerback and will continue to recruit him hard until February 5th. Story on McFadden commiting to the Seminoles here. If you’re looking for a way to watch past Georgia highlights and get access to some other great content, make sure to check out The UGA Vault! Check back daily for more recruiting updates! I could go on and on about the NCAA and how crooked they are, but I’ll save that for a future post. For now, let’s all turn our full attention to beating the Gators for the fourth year in a row. Story on Gurley’s denied appeal here. 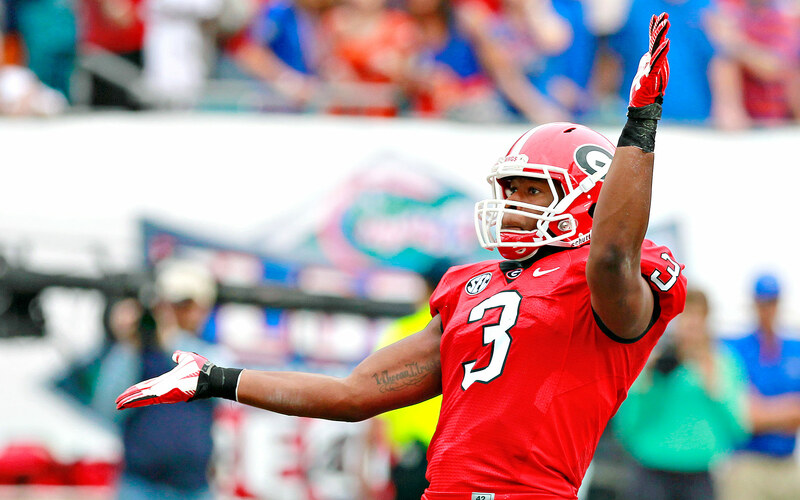 Here are Gentry Estes’ five keys for Georgia to beat Florida. Stop Treon Harris Running the Ball – One thing the Georgia defense has struggled with in recent years is mobile quarterbacks. Now Harris is no Nick Marshall or even Connor Shaw, but the guy is very athletic, and if UGA doesn’t have someone spying him, he could run all over this defense. Watch for the Trick Play – Will Muschamp has nothing to lose. He can read the writing on the wall, and he knows that his time in Gainesville is coming to an end quickly. He will try anything and everything, regardless of how risky, to try to beat his alma mater. UGA needs to be aware of this at all times, meaning they need to be on the look out for onside kicks, fake punts, and little trick plays in the backfield. **WARNING**: All of these keys could go flying out the window come Saturday because this is the World’s Largest Outdoor Cocktail Party, and as we all know, ANYTHING can happen. Check back daily for more Daily Dose of Dawg! If you’re up to date with the not-yet award winning Dude You Podcast, then you know how lukewarm this hate week has been for me. Not because I don’t hate Florida, never that; this is a school that ruined my childhood of Georgia fandom. I was pretty sure that it was a rule that Georgia lose this game until I was about 20, and by then, I had the warm embrace of alcohol to numb the sadness. We sit on the cusp of not only an expected strong showing against the school in Gainesville, but for an opportunity to produce secure a senior class that has NEVER lost to Florida. Read that again. N-E-V-E-R. 16 year old Daniel’s head just exploded. Georgia stealing one of these games used to be a rarity, and last night, Jason and I (Run The Pod) basically joked about margin of victory after he went on one of his patented ridiculous fan fiction stories outlining how Florida can win this game. So, please recognize that my lukewarm approach to #FloridaHateWeek is not a dimming of passion against the Gators, oh no. It’s more a quiet recognition that I’m screaming into the abyss that has become the Florida fan base. Whether it’s ones who can write (Spencer Hall) or ones who shouldn’t be allowed near a keyboard (twitter), the reaction from Florida faithful has been somewhere between apathy and openly cheering against their team. Hey Florida fans, can you at least fake it so that I don’t feel like we’re all on the same team? Takes all the fun out of beating you. Well, not ALL the fun. ON TO THE PICKS. As always, home team is in bold. That thing little kids do to make a fart noise by blowing against their hand? That’s the sound of the NFC South. In winning this bet, please be sure not to be exposed directly to the NFC South. These warnings are for your own well being. Time to play Who is Going to Ruin this Cowboys Season? Early leader is Jerry Jones in the being Jerry Jones division, but let’s not forget Tony Romo’s Back, Jason Garret’s Gingerness and the fact that Brandon Weedon might be involved in some of these upcoming games. You can play at home too! Just remember, Jerry Jones being Jerry Jones is undefeated for like 20 years now. You’ve really got to ask your self if getting Clowney back offsets trotting out Ryan Harvard Fitzpatrick again this week. I think not. #SafetySchool EVERYBODY INTO THE POOL. How does Rex Ryan still have a job? I mean, I’m not great at this, but it’s not technically a job. Still, if I showed the general lack of competency week after week, the Dude would either sit me down to fix things, or just change the site password so I couldn’t post. This isn’t a shot at Chad’s DudeYouGamblin posts, but it’s not not a shot at Chad’s DudeYouGamblin posts. Rough week for the people of Jacksonville. First they get to watch a man get fired on the field (sorry Will!) but then they get treated to watching their hometeam get beat up by the Bungals. Good times! West coast playing an early game back east. Old gambling trick. I got in a real life conversation with a mouth-breather regarding the name of Washington’s football team, and if your best defense is, ‘this is the way it’s always been done,’ then congrats on being the NCAA. Please don’t gamble on this game. THIS is a marquee matchup that should probably be in primetime so I could bet on Peyton and not watch it. Now I honestly have no idea what’s going to happen, but I have learned my lesson about betting against the Pats at home this season. I know it’s not logical to think that Ben threw all his touchdowns last week, but you can’t prove it’s not true. Don’t watch this game. Watch Killer Mike give you advice on life. First time I clicked on this video, I thought it would be a joke too, but it’s actually just legit life advice. Love this? Hate it? Think I’m an idiot? Don’t just curse at me under your breath, head to the Dude You Podcast iTunes page, and leave a 5-star review to make sure I know it, and have your voice heard on the air. Looking for Georgia Bulldogs football highlights on your phone? Download the UGA Vault for free from the iTunes App Store. Just click here. It’s that easy. The UGA Vault is now available on Android and iPhone! Go here to download on either platform and get access to more videos like this. Georgia Florida Hype Video: Highlights from the Bulldogs’ Current Winning Streak over the Gators from The UGA Vault on Vimeo. Most of the coaches in the SEC will probably not dress up for Halloween. Check that, none of the SEC coaches are going to dress up for Halloween, but if there is a coach I could see dressing up it is Les Miles. Who wouldn’t want to see the Mad Hatter in a Joker outfit? I would personally rather see Dan Mullen in a Cousin Eddy outfit, but that wish will probably never come true. Here is a list of each coach and the costume they should wear. Instead of The Mad Hatter, I am officially changing Les Miles nickname to Doctor love. He offered some relationship advice this past week, and it adds to a long list of memorable moments for the LSU head coach. There is nothing more entertaining than a Les Miles press conference. Next time the Tigers lose (next week when the Tide visit) be sure to turn on ESPN to check out the post game interviews. Here is the relationship advice from Doctor Love. Skip Bayless is the king of all trolls. He has just taken SEC bias to a whole new level by having 4 SEC teams in his playoff. As much as I believe that the SEC could stack up against any team, and give them a great game (probably win), but if that is what happens the first year of the playoff people will lose their minds. Keep doing you Skip. Here is his playoff top four.